They Sawed Up a Storm, by Sarah Shea Smith, 2010. 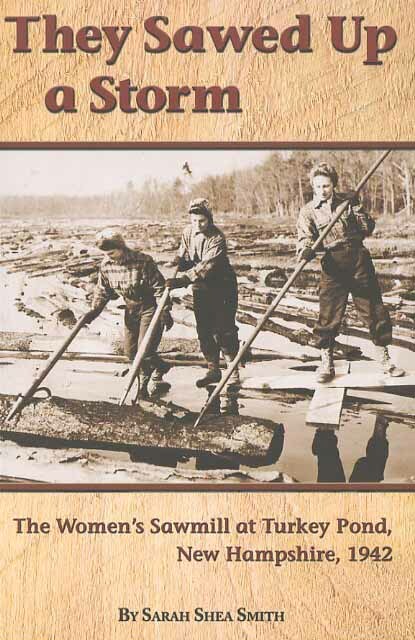 This book tells the story of a sawmill that was set up by the U.S. Forest Service at Turkey Pond in Concord, NH in 1942, for the purpose of salvaging timber downed by the great 1938 hurricane. The unqiue aspect of this sawmill was that it was operated by a determined group of women who rivalled the iconic "Rosie the Riveter" for their strength, skill, and determination. It includes reminiscences from some of the workers and is iIllustrated with many remarkable photos. The book also devotes chapters to the 1938 hurricane and the subsequent timber salvage operations. 80 pp, 6" x 9."